Set oven to Bake at 425 degrees. Process the flour, sugar, salt, and baking powder. Then add butter in slices until mixture becomes crumbly. Mix cream/milk with extracts and pour slowly while mixer or food processor is going until the dough starts to all come together to hand form a big ball. 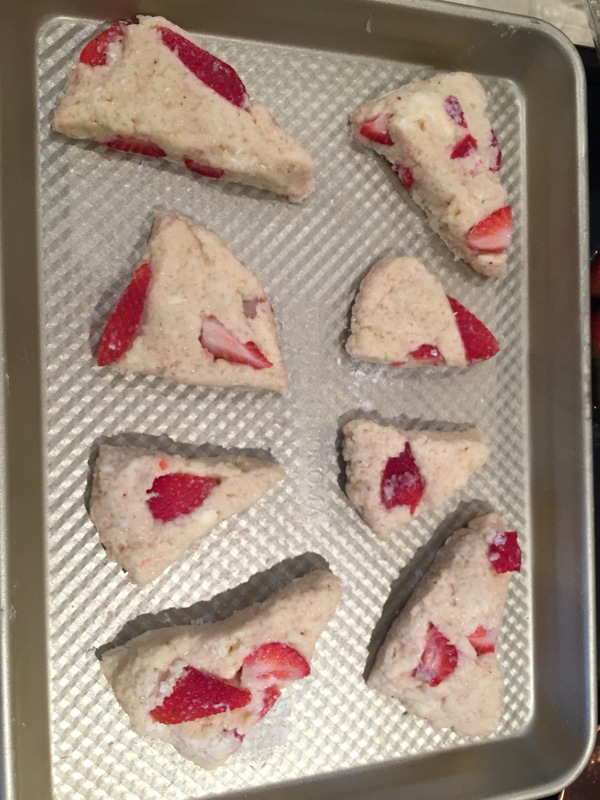 Carefully fold and press strawberries into dough. Then pat out on well floured surface (not handling dough too much) to about 3/4 an inch circles. 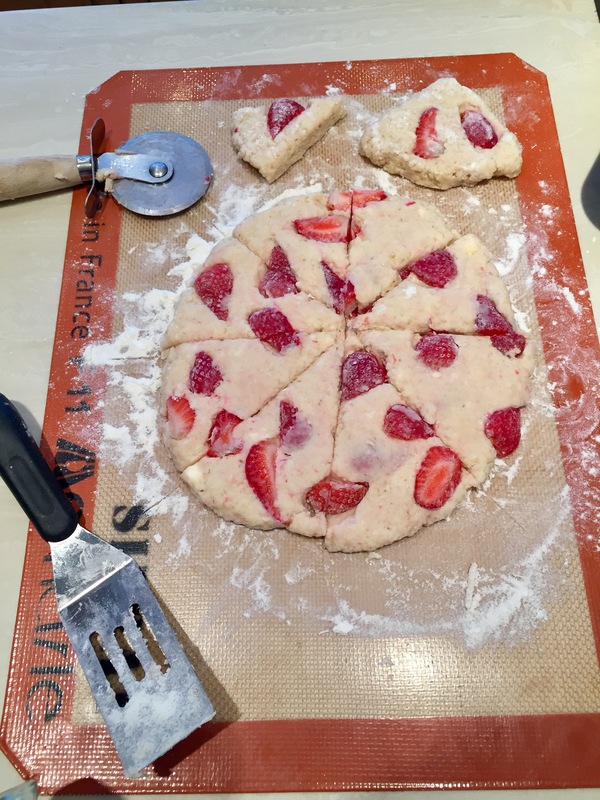 Makes about four big batches, like circle cut with pizza cutter below. 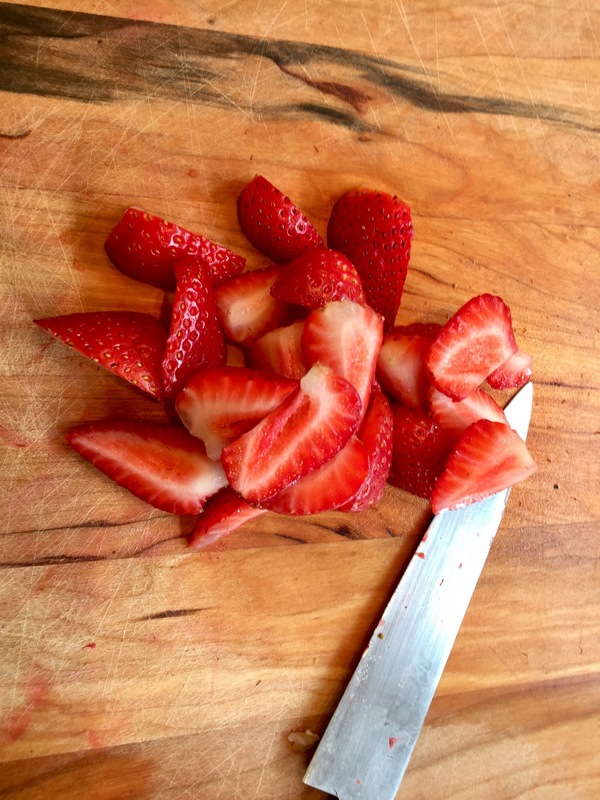 Slice and bake for 10-12 minutes or until golden. 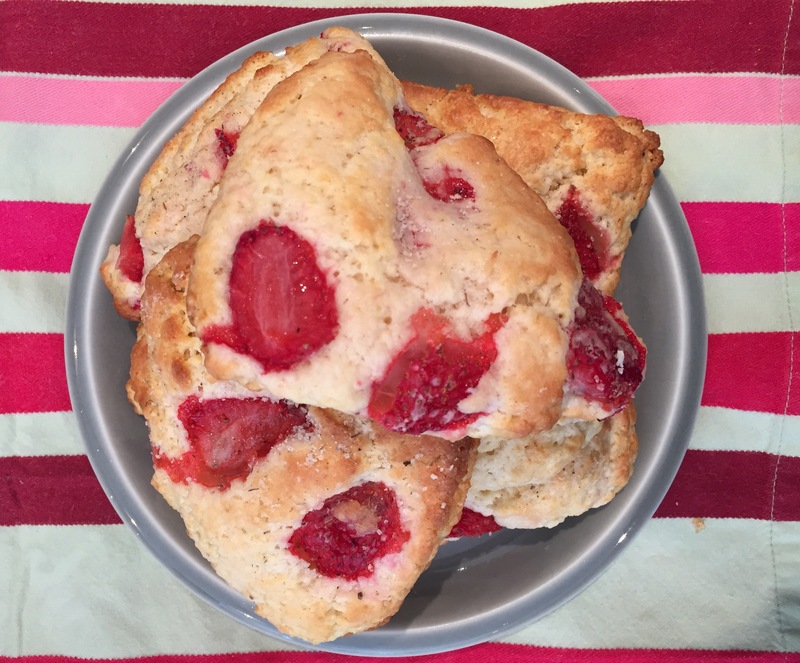 For the ultimate delicious scone experience here, serve warm and fresh out of the oven. 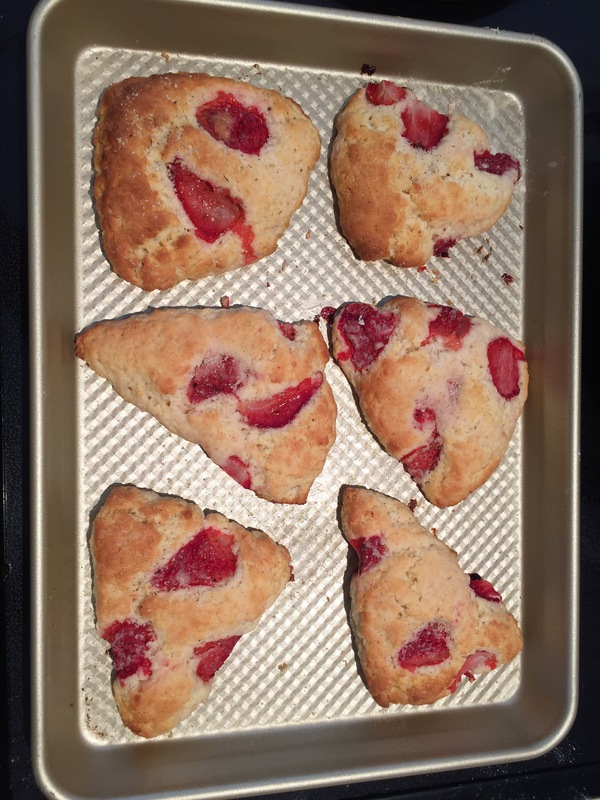 I lightly sprinkled the scones with lavender vanilla bean sugar but no icing needed for this one! 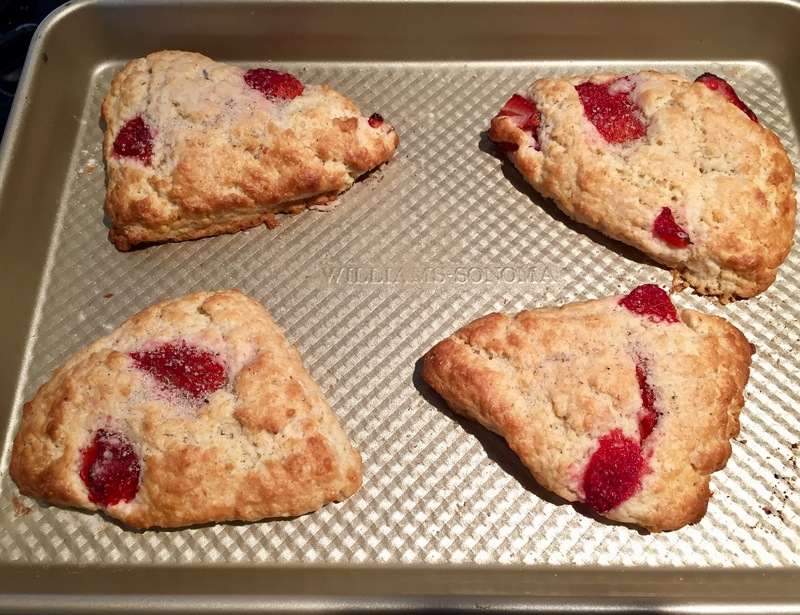 Almost had the consistently of a slightly moist biscuit–not as dry as your typical scone. 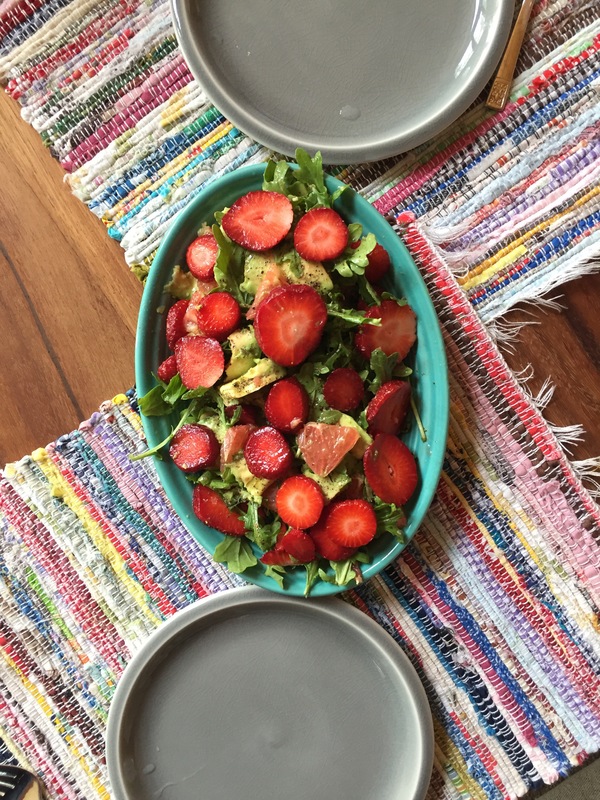 …and a delicious strawberry, grapefruit, avocado, arugula salad with a light garlic olive oil and macadamia oil drizzle.